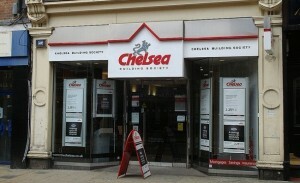 Chelsea Building Society is widening choice for borrowers with a new, lower-LTV (loan to value) addition to its mortgage range with a market-leading rate. The Society is offering a two year fixed rate mortgage at 1.99% for 60% LTV, with an offset equivalent at 2.19%. Each mortgage is fixed until 30 April 2015 and has a £995 fee. “These are superb rates – market-leading and the lowest short term fixed rates we have ever offered,” said Chelsea Building Society Product Manager Sunjeev Sahota. “Whether buying a home or remortgaging, borrowers can be confident that these fixed rates give them the security they need at a fantastic rate. There is also a great opportunity here for those looking to remortgage to bring down their mortgage repayments.